Note: This wheel is sold separately. The Cage comes with a 41.5mm contact patch. It's here to deliver when the script calls for inordinate momentum, firm yet pliable grip, and high-speed slides. 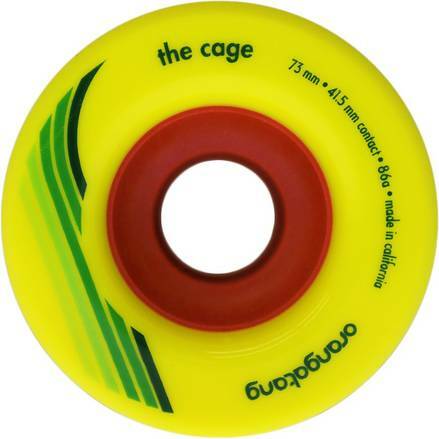 Step away from the bike… and get your downhill fix with this longboard wheel. Poured in Orangatang's new PeachyThane formula.